Modern Style Gray Transitional Rug with Contemporary Abstract Paint Strokes, 09'08 X 13'08 From Esmaili Rugs Collection. 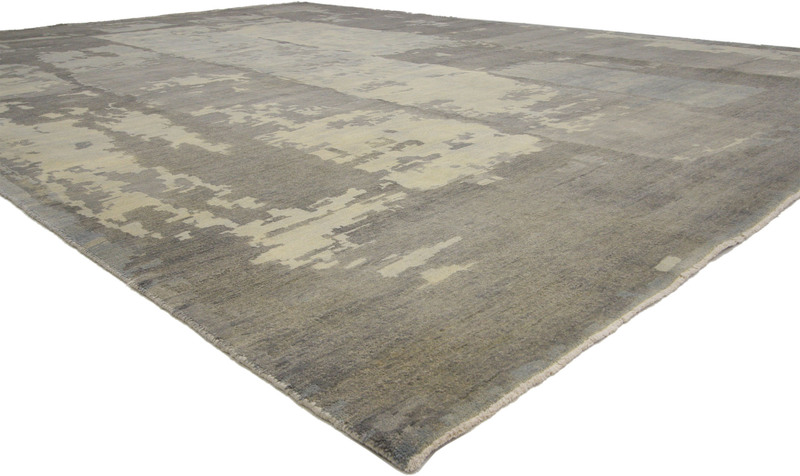 Instantly transform your space with this modern style gray transitional rug. 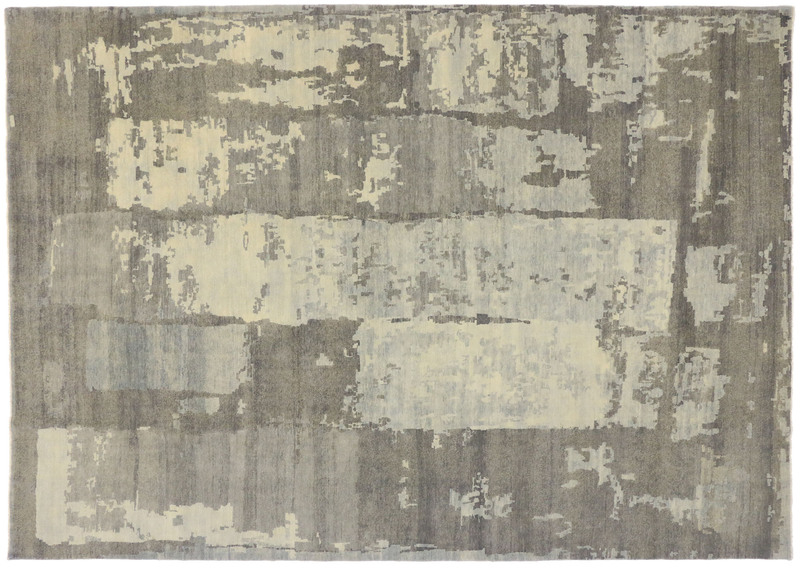 The subtly provocative color palette from the beautiful usage of grays with vanilla cream bring a sense of calmness and elegance. 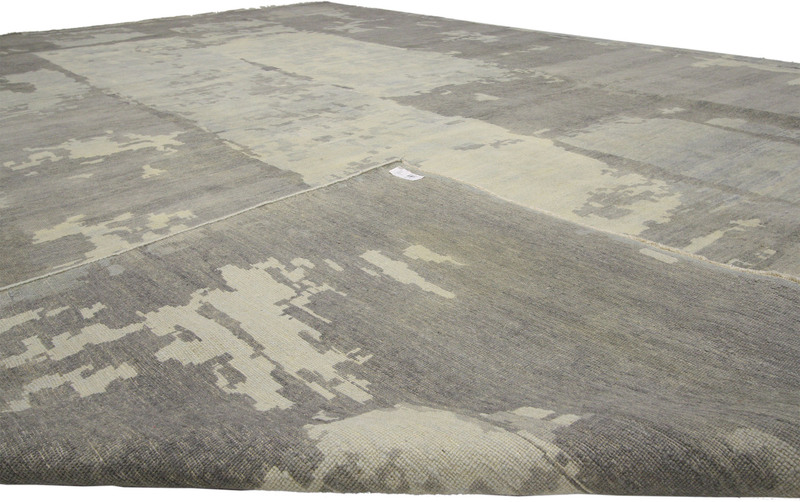 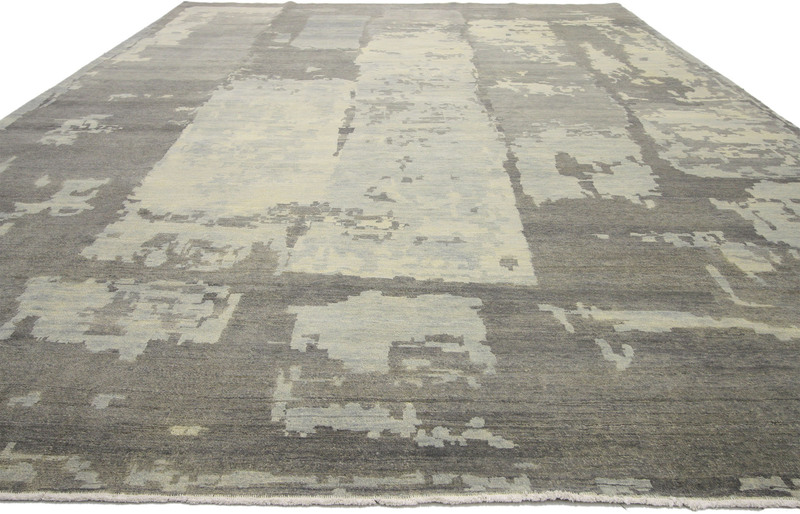 With its contemporary abstract paint strokes and cool gray color palette, this transitional rug can add intriguing contrast to a traditional room or a thought-provoking focal point in a minimalist setting.